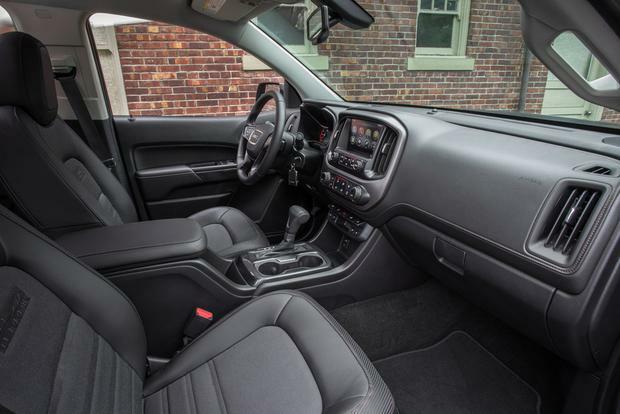 Other than updated infotainment systems, most changes for the new year are trim specific for the 2019 Chevrolet Colorado. 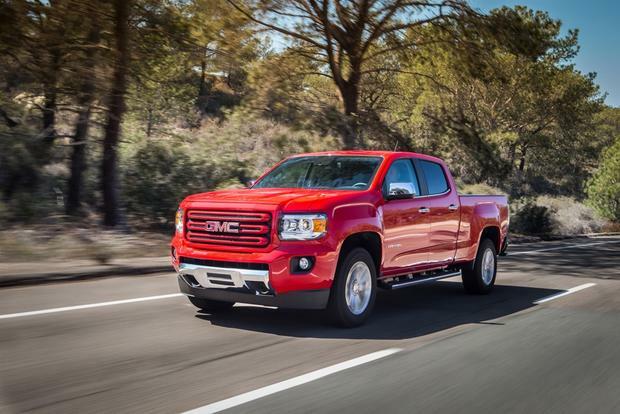 Think of the 2018 GMC Canyon as a junior full-size truck, mimicking the look and driving experience but with a more manageable size. 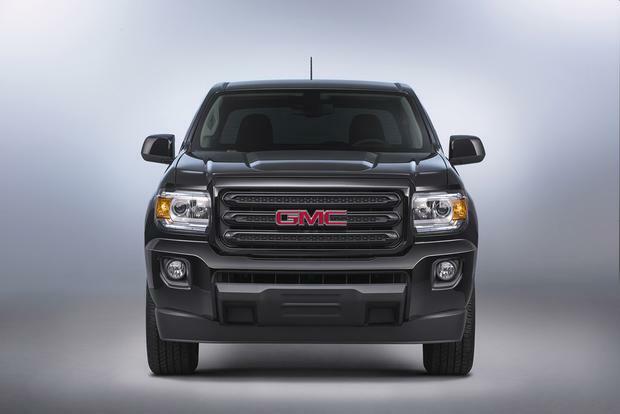 Bringing Professional Grade appeal to midsize pickups, the all-new 2015 GMC Canyon is available with OnStar 4G LTE and in-truck Wi-Fi. 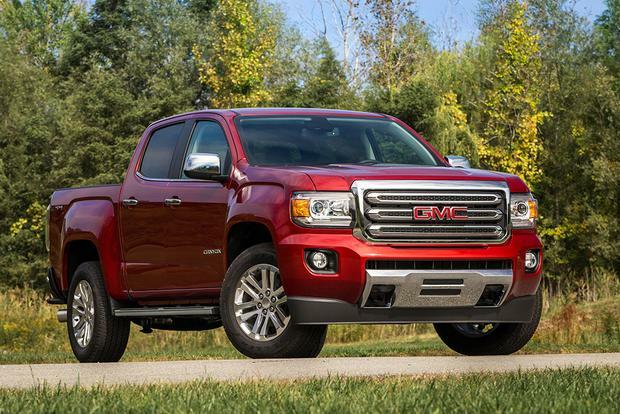 2015 Chevrolet Colorado vs. 2015 GMC Canyon: What's the Difference? 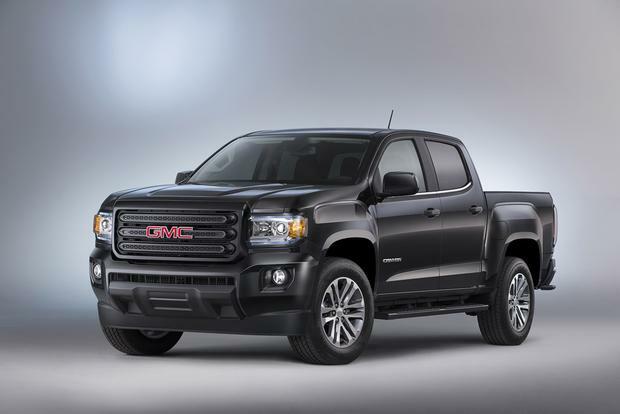 Not sure what separates the new Chevrolet Colorado and GMC Canyon pickups? We take a closer look. Buying a Car: Do You Really Need a Big Vehicle? If you're thinking about buying a big car, you may want to think again. We have some alternatives that could be a better fit. The 2017 GMC Canyon mimicks the look, capability and driving experience of a half-ton truck scaled down to a more manageable size. 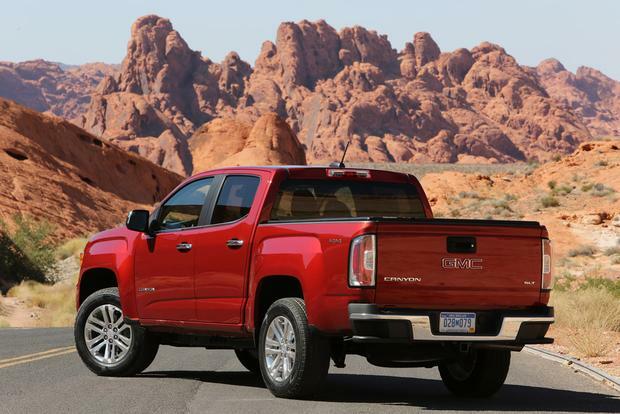 Following the cancellation of the GMC Canyon (and its Chevrolet Colorado stablemate) after the 2012 model year, General Motors took some time to really think over the next iteration of its midsize truck. 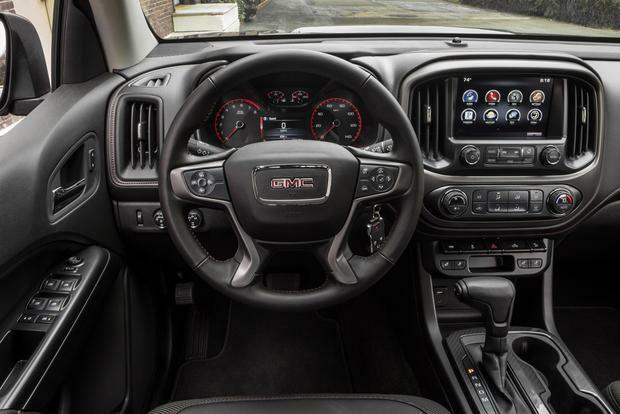 The result is the GMC Canyon, which offers a dramatically improved interior, two excellent new engines and improved capabilities compared to the outgoing model. Fully redesigned last year, the 2016 GMC Canyon runs circles around the Nissan Frontier and outgoing Toyota Tacoma, its two main pickup rivals, in nearly every respect -- though it remains to be seen whether U.S. truck shoppers will embrace the smaller GM models or instead choose a full-size truck with more capabilities, such as the Chevrolet Silverado or GMC Sierra. Fortunately, GMC is helping things along with modern styling, lots of equipment, workhorse capabilities and -- for 2016 -- a new turbodiesel 4-cylinder engine. 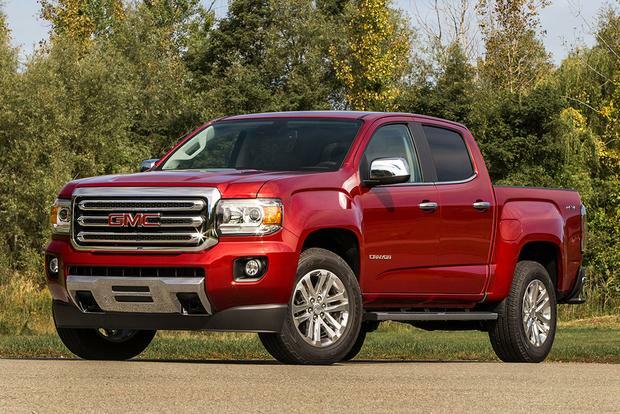 Aside from minor trim changes, the Canyon's sole update for 2016 is the addition of a 2.8-liter turbodiesel 4-cylinder, which should join the truck's lineup in the middle of the model year. The Canyon is available with two engines. Base-level models use a 2.5-liter 4-cylinder that makes a respectable 200 horsepower and 191 lb-ft of torque; it's offered with 6-speed manual (rear-wheel-drive models only) or 6-speed automatic (on rear- or 4-wheel-drive Canyons) transmissions. Rear-drive Canyon models return up to 20 miles per gallon in the city and 27 mpg on the highway with the manual or 20 mpg city/26 mpg hwy with the automatic. Opt for 4-wheel drive, and fuel economy ratings fall to 19 mpg city/25 mpg on the hwy. For drivers interested in more power, the Canyon also offers a 3.6-liter V6 that makes 305 hp and 269 lb-ft of torque. Fuel economy for that engine stands at 18 mpg city/26 mpg hwy with rear-wheel drive or 17 mpg city/24 mpg hwy with 4-wheel drive. Shoppers especially interested in gas mileage will soon be able to order a diesel-powered version of the Canyon. Touting 181 hp and 369 lb-ft of torque, the 2.8-liter turbodiesel 4-cylinder will be available in the middle of the 2016 model year. Fuel economy numbers have not yet been released. The Canyon comes in four trim levels: a base-level Canyon SL, an unnamed midlevel Canyon trim, the SLE and the upscale SLT. Three body styles are offered: a long-bed extended cab or a crew cab with either a long or short bed. Although GMC has not yet confirmed it, we expect to see a high-end Canyon Denali debut eventually -- possibly for the 2017 model year. 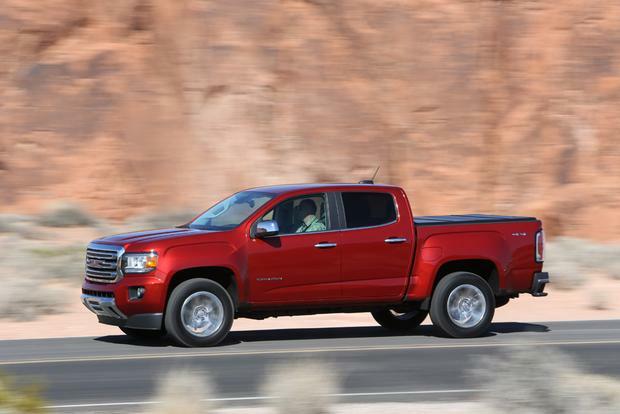 The base-level Canyon SL model ($21,900) is only offered in the truck's base-level extended-cab configuration. Pitched as a bare-bones work truck, it includes a backup camera, a power driver's seat, LED daytime running lights, vinyl floor coverings, no rear seats, air conditioning and a USB port for music. It skips out on essentials such as cruise control and remote keyless entry. If you want a few more features, enter the Canyon ($23,600), which adds rear seats and carpeted floor coverings to the mix. More importantly, it adds a wide range of desirable options including remote keyless entry, cruise control, a spray-in bedliner, a 3.6-liter V6 and a few extra colors. Next up is the Canyon SLE ($27,900), which adds a host of new items, including two rear USB charging ports, a multicolor driver information display, remote keyless entry, cruise control, SiriusXM radio, an 8-inch color touchscreen, OnStar with 4G LTE Wi-Fi hot spot capabilities, 17-in alloy wheels, power mirrors and additional aluminum trim, inside and out. Topping the range is the Canyon SLT ($32,100), which adds automatic climate control, a remote starter, heated front seats, 18-in wheels and a power passenger seat. Canyon options include the truck's 3.6-liter V6 engine, forward-collision alert, lane-departure warning, running boards, an innovative in-bed cargo-divider system, chrome wheels, a navigation system and a Bose sound system. The diesel engine will also join the options list midyear. All 2016 GMC Canyon models come standard with dual front airbags, along with side-curtain airbags for front and rear occupants. The Canyon also includes a standard backup camera and traction control. Options include forward-collision alert and a lane-departure warning system. In National Highway Traffic Safety Administration crash testing, the Canyon earned four stars overall, comprised of a 4-star frontal crash-test rating, a 5-star side-impact rating and a 3-star rollover rating. The truck has not yet been tested by the nonprofit Insurance Institute for Highway Safety. 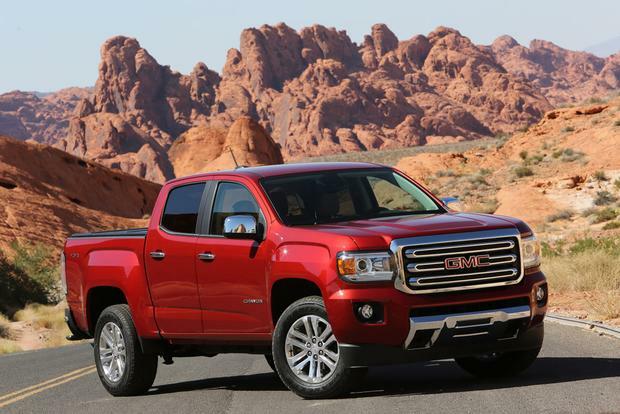 If you're a small-pickup fan, there's a lot to love about the latest GMC Canyon. For one thing, it offers a better ride than all of its small-pickup competitors -- and a better interior, too. It's also a big step above the Nissan Frontier and Toyota Tacoma in terms of gadgets, interior quality and -- in our opinion, anyway -- style, given its brand-new design compared to rivals' aging looks. We're also highly impressed with both of the Canyon's engines -- and their capabilities. Although it isn't a workhorse, the base-level 4-cylinder is acceptable for a lot of situations -- and it gets great mileage, too. 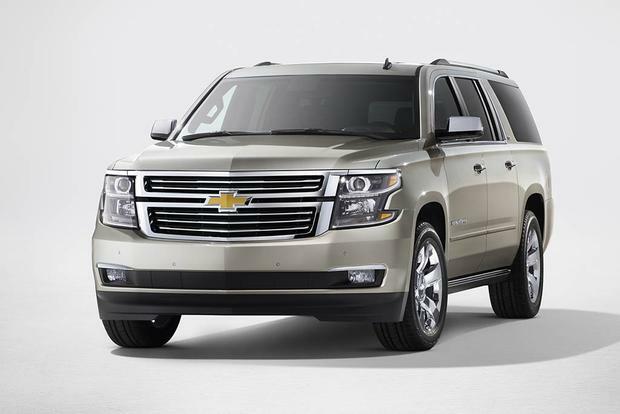 But the V6 is the engine to have, offering brawny acceleration and an excellent 7,000-lb towing capacity. As for drawbacks, we have only two: While the ride is great for a small truck, it's not exactly luxurious -- and shoppers who previously owned a sedan or a compact crossover might be disappointed. More importantly, we discovered the front seats could be a little more supportive after a long stint behind the wheel. 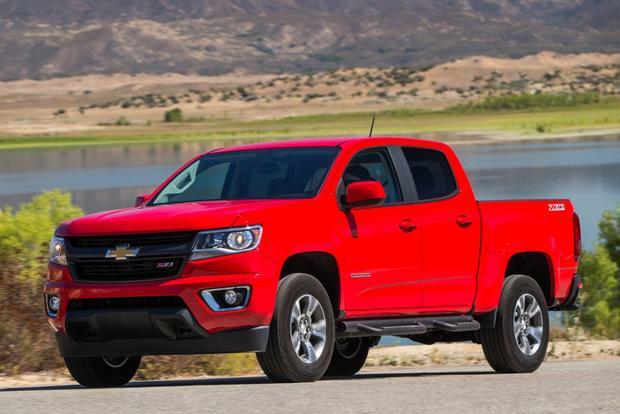 2016 Chevrolet Colorado -- The Canyon's Chevrolet-badged stablemate is obviously worth considering, as the trucks are highly similar in a lot of ways. Don't buy a Canyon without looking at the Colorado. 2015 Toyota Tacoma -- The Tacoma is the Canyon's chief rival, offering notoriously durable construction and boasting a loyal following. A new Tacoma is due out soon, which may offer more serious competition for the Canyon and Colorado. Used Chevrolet Silverado -- If you need more capabilities than the Canyon can offer, consider a used Silverado. Though we especially like the all-new model, which came out for 2014, earlier versions are also worth a look. Our dream Canyon is a well-equipped SLE model with the pickup's optional 3.6-liter V6 engine. That way, we could get a wide range of amenities without spending big money -- and we'd still have the pickup's bulky 6-cylinder engine for muscle when necessary.